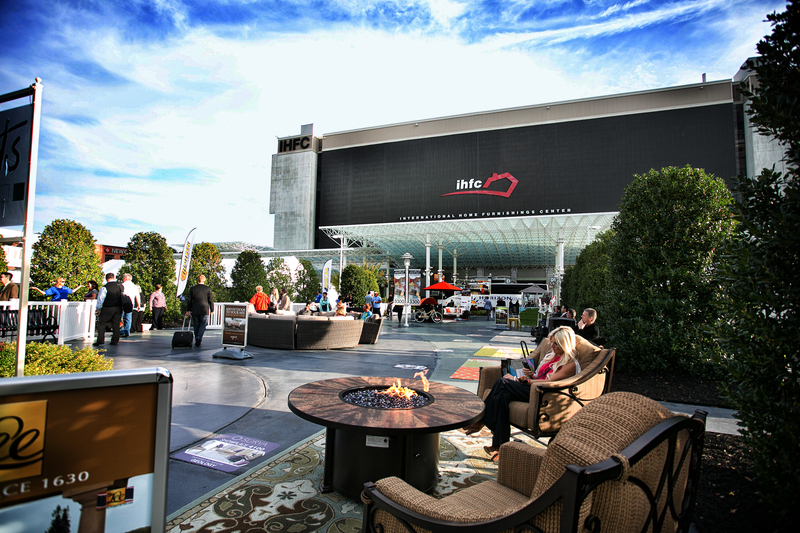 The High Point Market is the largest furnishings industry trade show in the world, bringing more than 75,000 people to High Point, NC, every six months. Serious retail home furnishings buyers, interior designers, architects, and others in the home furnishings industry can be found at the High Point Market twice a year shopping 180 buildings and 11.5 million square feet of showroom space. Passes to High Point Market are free, but trade credentials are required. The show usually runs Saturday-Wednesday, once in April and once again in October. To view future show dates, click here. What is now the High Point Market was founded in 1909 as the Southern Furniture Market, and renamed the International Home Furnishings Market in 1989. A 2013 Duke University study found that the High Point Market generates more than $5.39 billion in economic impact to the overall regional economy (the counties within a 75-mile radius from downtown High Point, including counties in Virginia). International Market Centers owns and operates the International Home Furnishings Center, or IHFC, the Market Square Complex, Showplace, Hamilton Properties, Plaza Suites and several other buildings, which makes it a major real estate owner of the market. International Market Centers also just merged with AmericasMart in May 2018. High Point Market is run by the High Point Market Authority, which is headed by President and CEO Tom Conley. Twice a year, the editors at Furniture, Lighting & Decor visit High Point Market to scope out new trends and hear from industry experts about what's going on in the world of product design and retail. Here is a selection of editorial coverage (including pre- and post-coverage) of High Point Market. For more information, subscribe to Furniture, Lighting & Decor. Monday to Friday 8 a.m.–5 p.m. ET.